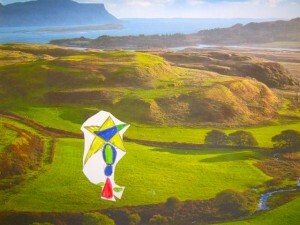 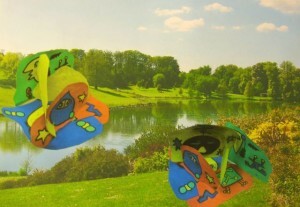 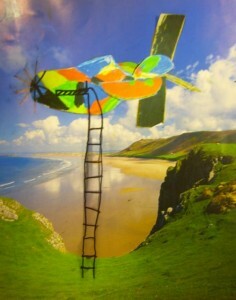 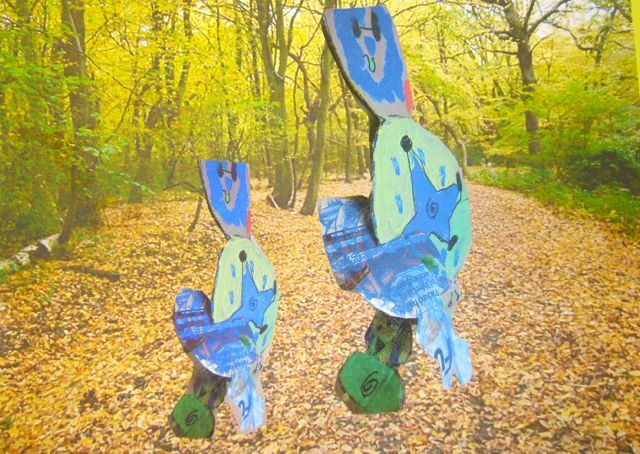 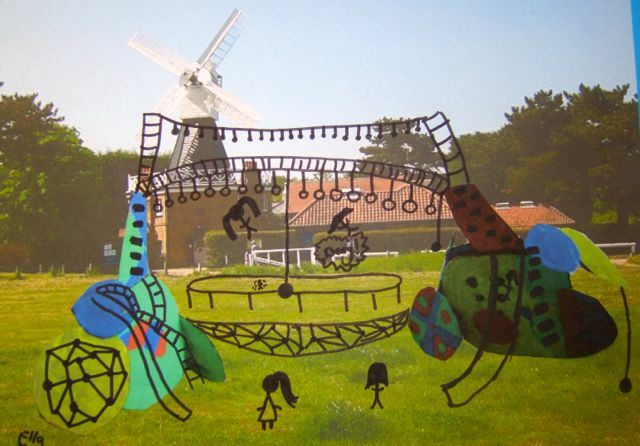 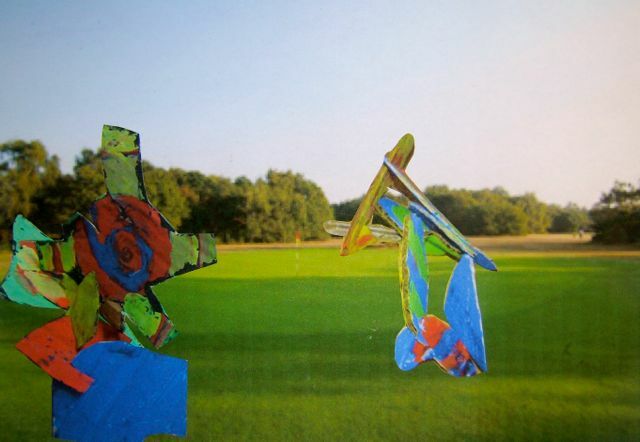 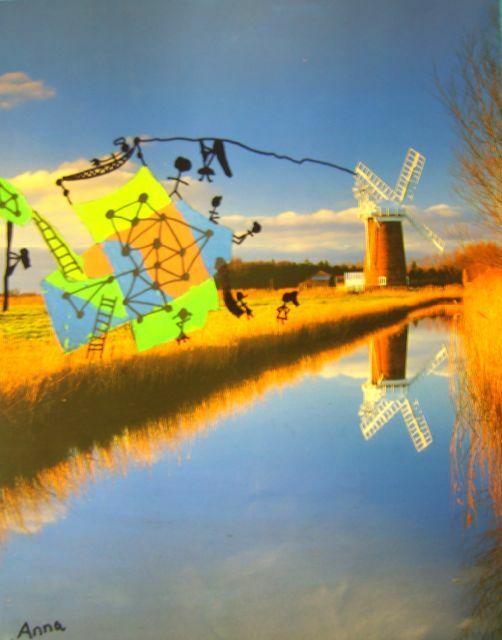 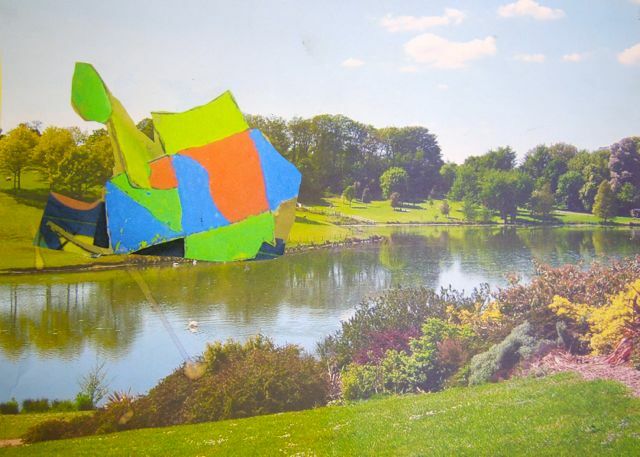 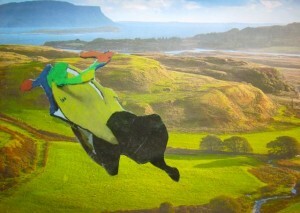 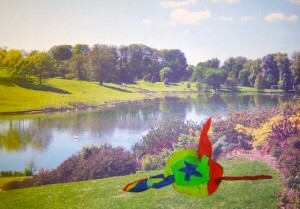 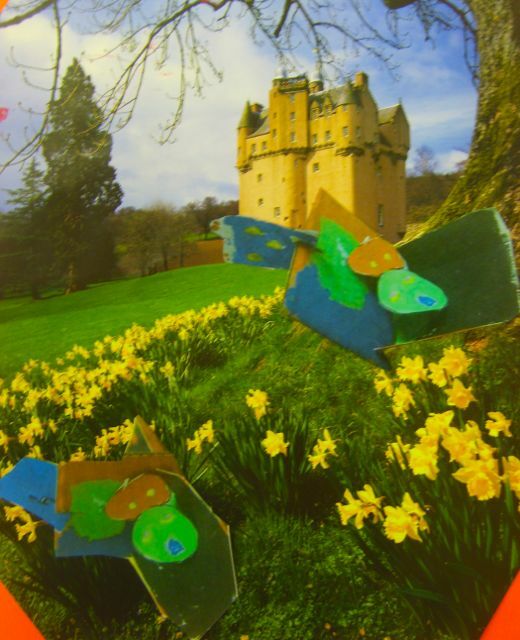 At the end of last term in Pelham Primary School, children played with scale and illusion when siting photographs of their cardboard sculptures into landscape settings. 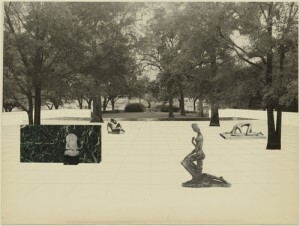 This follows in the photomontage tradition used by many sculptors and architects like Mies Van de Rohe (images below) when planning major public art and architectural projects. 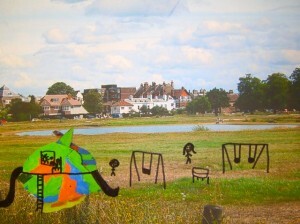 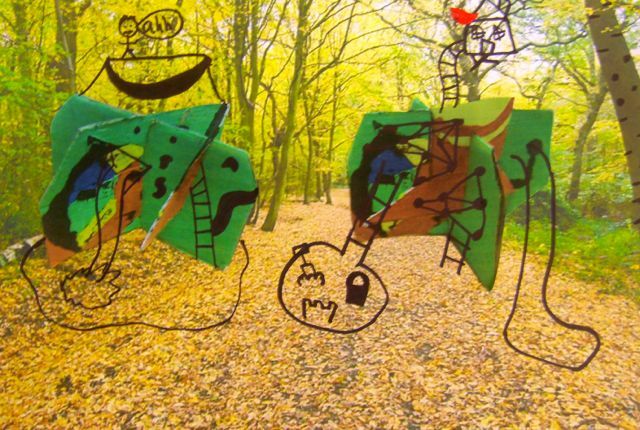 Children added drawings to imagine new structures that could change the use of the landscape. Their sculptures morphed into new forms as stories and scenario’s developed. 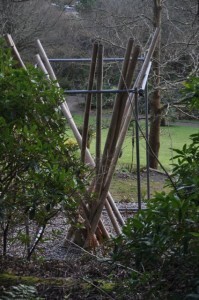 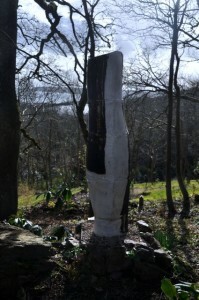 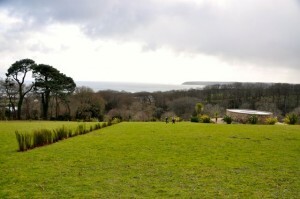 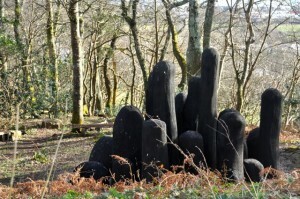 I visited Tremenheere Sculpture Gardens in Cornwall during half term (see the images below). I think some of our works would brighten up their gardens. Do you think we should get in touch?